A 2012 Danish study found that obese, fertile younger women had a 2 to 3-fold higher risk of developing A-Fib than their normal weight counterparts. Previously it was unknown whether obesity increased the risk of A-Fib in young people without other risk factors. This study adjusted for other risk factors while analyzing the effect of weight on the development of new-onset A-Fib. These findings suggest that strategies to promote weight loss may also decrease the burden of A-Fib. Very obese >35 >204 lbs. Statistical analysis revealed a hazard ratio of 2.04 in the obese women or a 2-fold greater risk than normal weight women of developing A-Fib. A hazard ratio 3.50 in the very obese women showed an even greater 3-fold risk of developing A-Fib compared to normal weight women. These findings were significant and add another potential risk factor for ‘Lone A-Fib’. 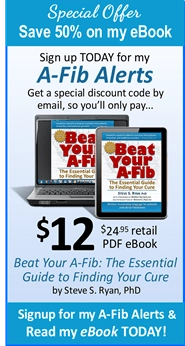 Obesity & increased the risk of A-Fib in young females? 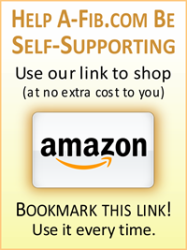 This was a unique study that analyzed the data from a national Danish Registry. The research identified 271,203 women (aged 20-50, mean age of 30.6 years) from a nationwide register of childbirths and hospitalizations in Denmark. 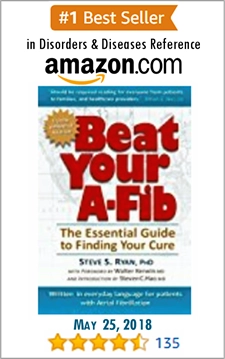 The women had all given birth between 2004 – 2009 and did not have prior histories of A-Fib. 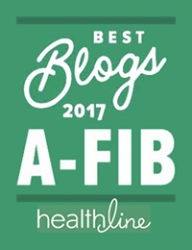 The women were followed for an average of 4.6 years during which time 110 were hospitalized for first-time A-Fib. Due to the nature of the data base, the investigators were able to adjust for age, comorbidities, hyperthyroidism, smoking status, pharmacotherapy and previous use of beta-blockers during pregnancy. However, they were unable to adjust for either alcohol use or diagnoses of sleep apnea either at baseline or during follow-up. 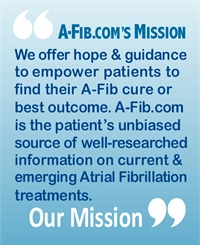 For more about Women’s Health and Atrial Fibrillation, see Women with A-Fib: Mother Nature and Gender Bias. 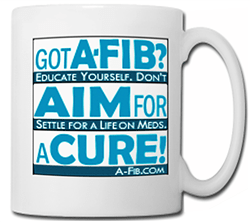 LYNN HAYE, PhD, is a clinical psychologist and former A-Fib patient. She studies and writes about current trends in the treatment and diagnosis of atrial fibrillation and has a special interest in women’s health issues. Dr. Haye and her family live in Orange County, CA.